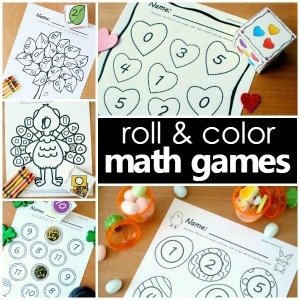 During the preschool years it’s helpful to provide kids with a variety of ways to practice writing. 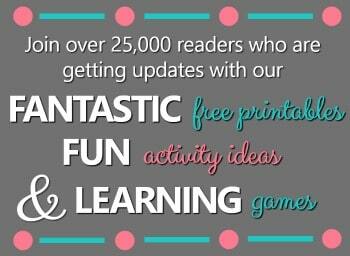 And it can be fun to think past pencil and paper and use different materials. 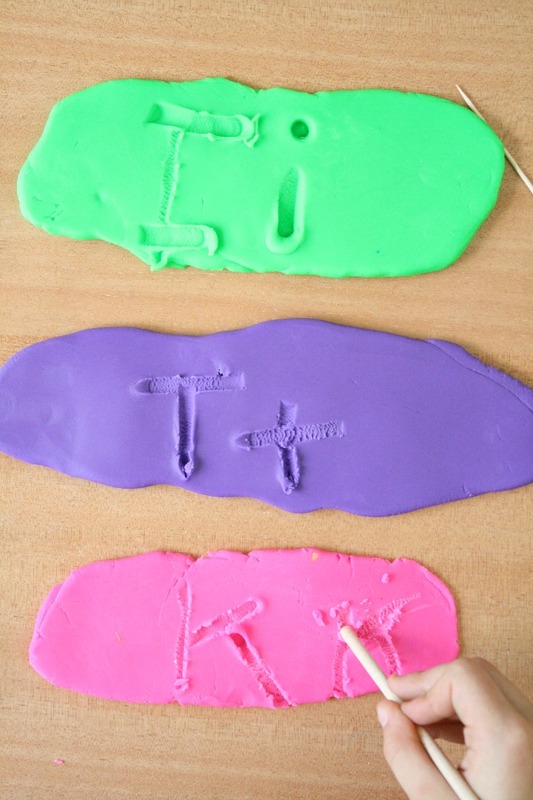 Here we show how a play dough writing tray can be used to practice writing letters, sight words, spelling words and more. 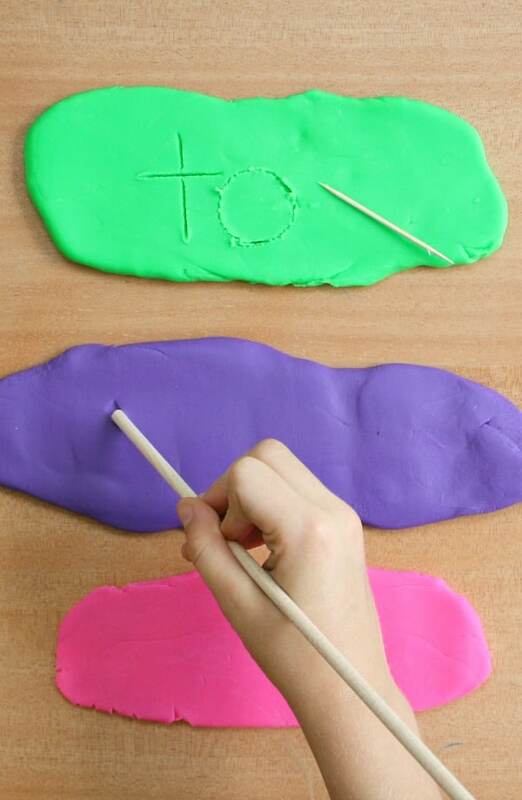 To set up this play dough writing tray we used rolled out three sections of play dough and set them out next to some tools that could be used to make marks. Grab whatever you have handy. We chose toothpicks and some assorted round dowels we were given from CraftProjectIdeas.com. If you don’t have anything, grab some twigs from outside. They’ll work perfectly! 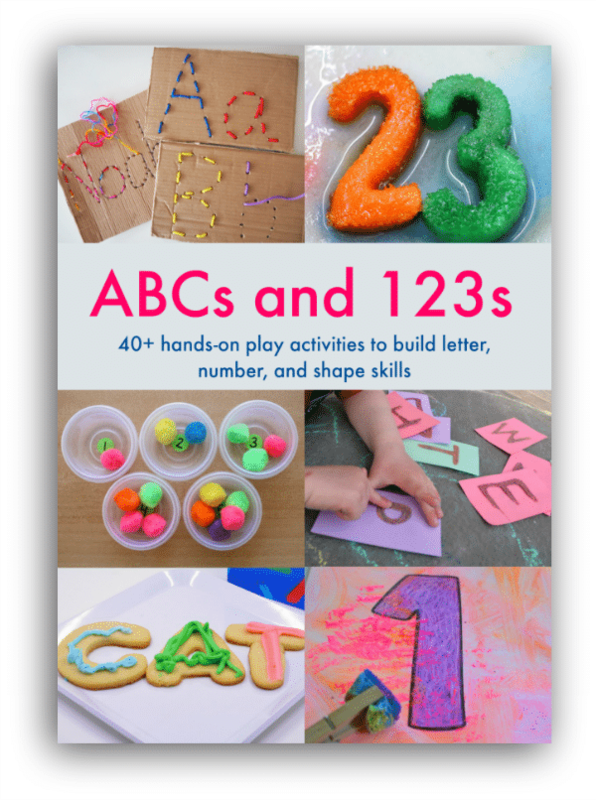 Preschoolers can experiment with the different tools to write the letters of the alphabet. Here we wrote matching upper and lowercase letters. If your child is just getting started with writing letters, you could place a set of flashcards with this tray for reference. 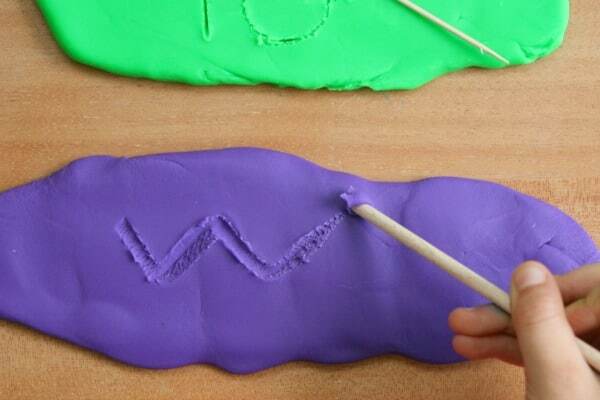 The play dough texture gives a nice resistance as kids pull down to make different strokes. 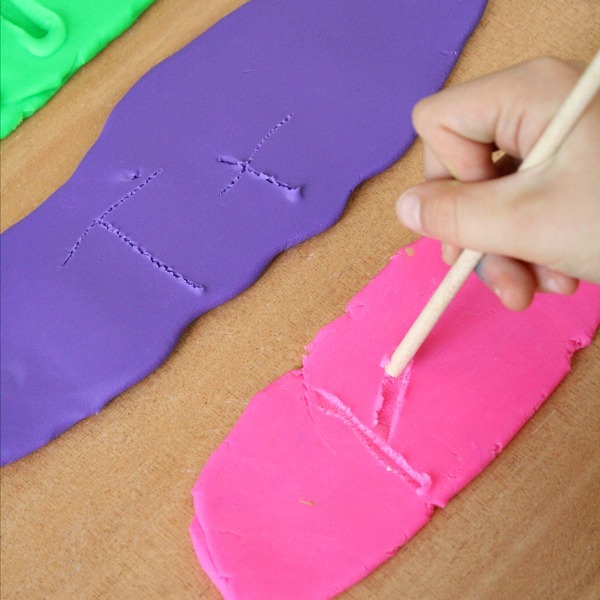 You’ll want to make sure you are using a nice soft batch of play dough. 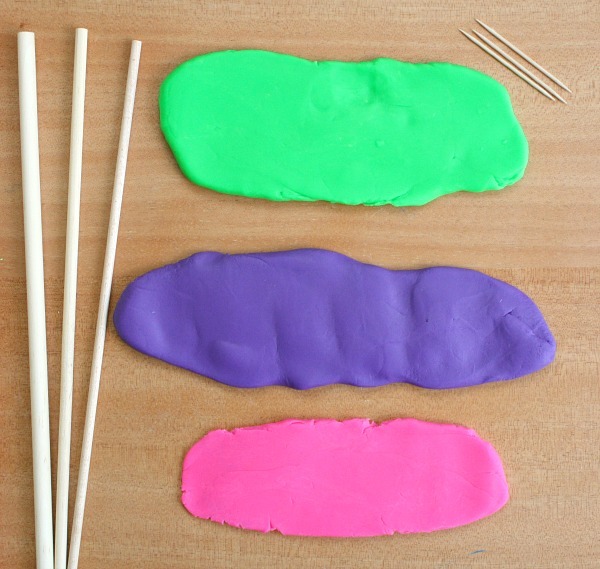 Homemade play dough or brand new containers of store bought dough work best. Older, drier dough will be more difficult to work with. 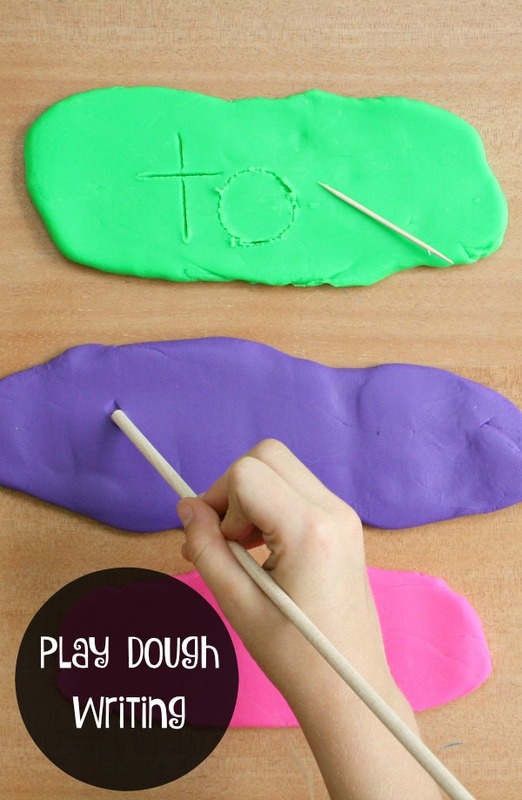 Older preschoolers and grade schoolers who are learning sight words or having spelling lists can practice their words using a play dough writing tray too. It’s a fun way to mix up their practice! 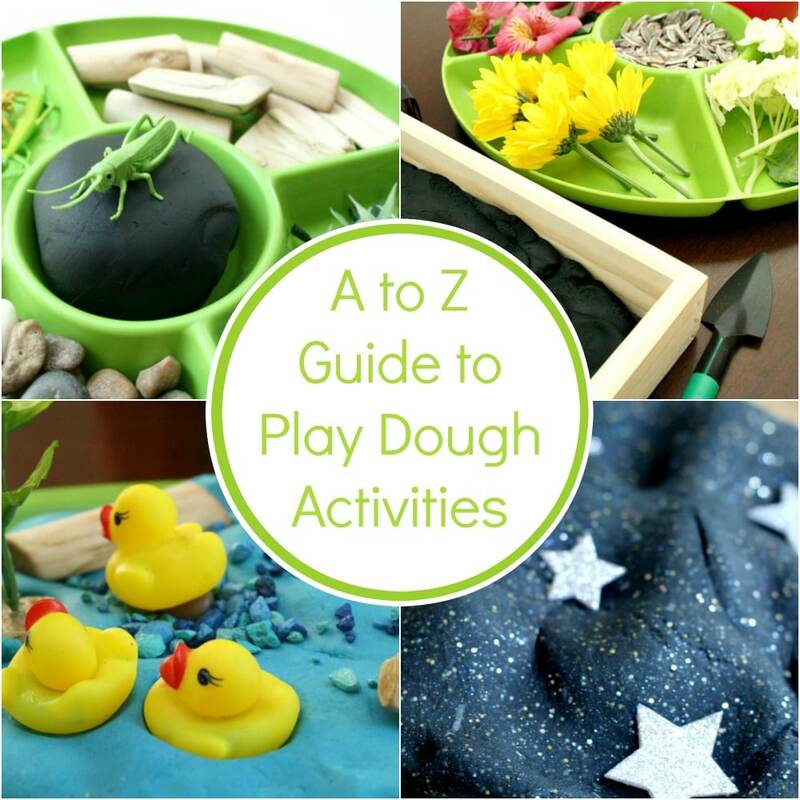 We flip over each section of dough and smooth it out again to continue practicing more words and letters.